When you hold up your wrist to admire your new Apple Watch, the shiny new device might also catch the eye of an opportunistic thief. Police and security experts are urging common sense and awareness of surroundings when interacting in public with the new smartwatch, which will begin arriving on doorsteps and adorning wrists Friday. A spike in thefts seems to accompany each new wave of technology. But mobile manufacturers were pressured to install kill-switch technology, making hot devices harder for criminals to sell, and the move has been credited with a drop in swiped smartphones. 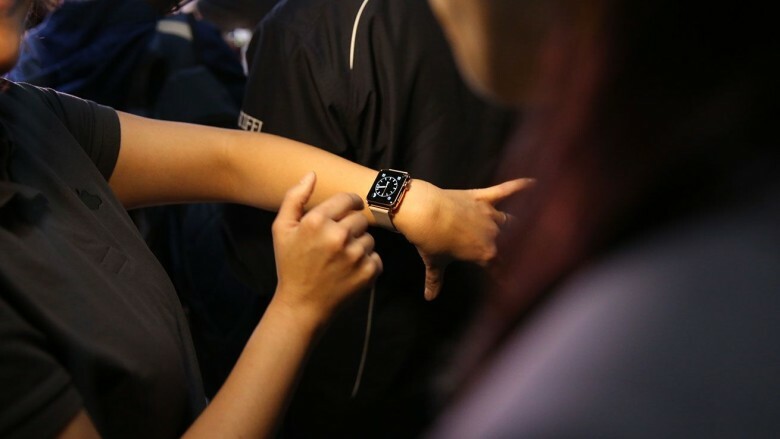 With the Apple Watch being the latest must-have gadget, police and techies wonder whether the watch will have similar security measures that would render a stolen watch virtually worthless. Concerned Apple fans have been discussing the situation on reddit, noting that AppleCare doesn’t cover theft. Apple has assured buyers the watch will not work once it senses it has been removed from its owner’s wrist. Then there’s the Apple Watch Edition — the $10,000, 18-karat gold version that could be attractive to thieves regardless of whether it’s functional. 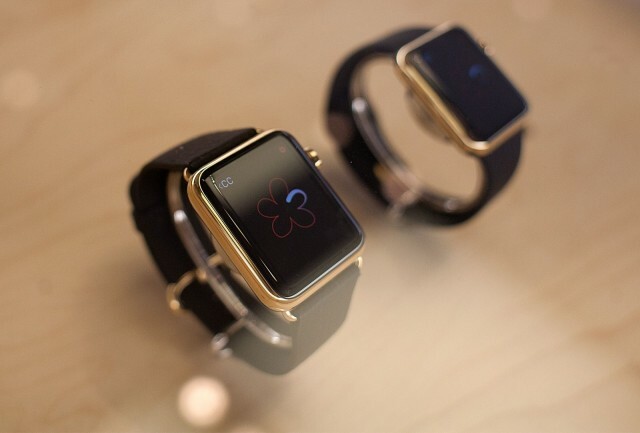 One San Francisco blogger was bold enough to predict a gold Apple Watch will be stolen in his city by June. San Francisco police say beware of the possibility that someone could be watching for people glancing at their wrists in the days following the Apple Watch launch. An app providing an impenetrable force field around an Apple Watch owner is probably a few generations away. For now, analog smarts for your smartwatch may be the most important function.